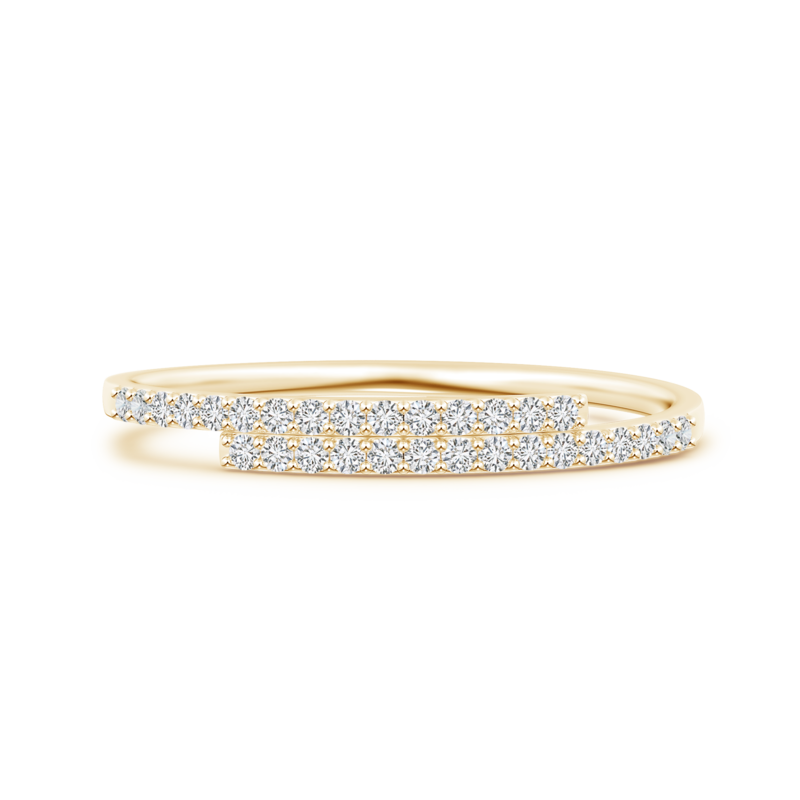 This classy wedding band has been designed to give you the best of both worlds; the purity of lab grown diamonds and the visual appeal of a sophisticated design. It showcases two horizontal bar frames, one placed above the other, in an asymmetrical fashion for an alluring look. Both the bars are partially adorned with prong set lab grown diamonds that entice your gaze with their sheer brilliance. The 14k white gold metal envelops this double bar bypass band with an innate sophistication, and further elevates its beauty.